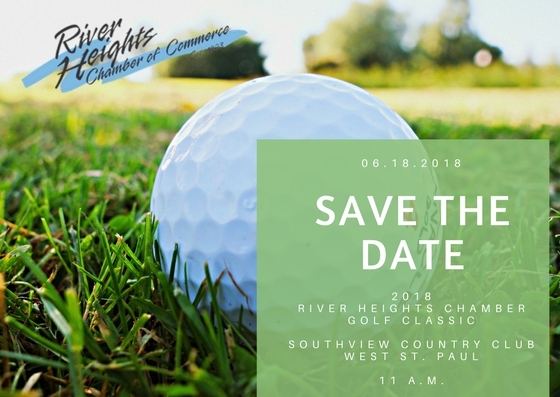 Inver Grove Heights/South Saint Paul – The River Heights Chamber of Commerce invites the community to golf in the River Heights Chamber’s Annual Golf Classic fundraiser presented for the second consecutive year by Republic Services on Monday, June 18, 2018 at Southview Country Club at 239 E. Mendota Road in West St. Paul. June 18th is promised to be filled with fun including a Bloody Mary bar while you get checked-in and practice your swings, contests on the course, and a ball drop contest and awards dinner following the day’s play. 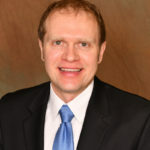 Registration begins at 10 a.m., with a shotgun start for teams at 11:00 a.m. An online auction will be sure to please with great items starting in June. Not a golfer? That’s ok, Come Wine with Us! New this year, bring your friends and join us for a special wine tasting from Paustis Wine Company and pairing of hors d’oeuvres at 3:00 p.m. at Southview Country Club. After the ‘Wine-ing’ meet up with the golfers as they return from the course and enjoy dinner. Register for the wine event at www.riverheights.com/wine. 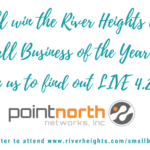 “The River Heights Chamber is looking forward to a fun tournament presented by Republic Services, and are excited to feature the new “Come Wine With Us” event for non-golfers, as well as a Gift Card Raffle for attendees,” says Michele Hein of Tandem Printing and Golf Task Force Chair. Golf is $160 per player by the early bird deadline of June 1st; after June 1st it’s $175/golfer, or a discounted rate of $600 per foursome. Guests may attend the Come Wine With Us event for $25 or the Wine and Dinner for $60. The tournament will be held rain or shine. Special thanks to these businesses for being major sponsors of the tournament: KOMA, Quality Auto Care Center, Sanimax, SKB Environmental and Town Square Television. Check out the other businesses who are going to be out on the course at www.riverheights.com/golf. 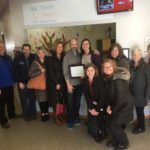 For more registration information, visit us online at www.riverheights.com/golf or call the River Heights Chamber of Commerce at 651.451.2266. Southview Country Club is a premier 18-hole course whose sheer aesthetic beauty lies in stark contrast to the challenge it provides to golfers of every skill level. It is the kind of course you never grow tired of playing, and where you are always proud to bring your guests. Today, Southview is noted for its immaculate rolling fairways, mature trees and numerous water hazards featuring fountains and magnificent landscaping. And of course, the finest greens in this part of the country.